It will be available on leading e-commerce websites like Flipkart, Amazon, Snapdeal, etc. and in over 350 book stores across the country post October 30, 2015. 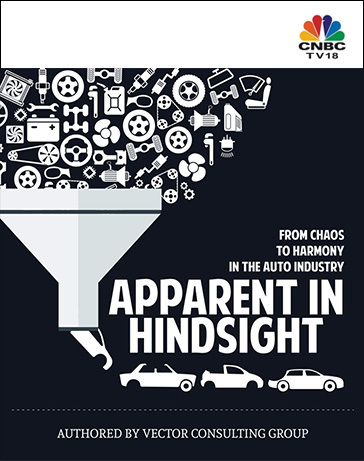 The book delves deep into the chronic problems faced by almost all companies in the Indian automotive industry. It closely examines and challenges the fundamental assumptions that have held firm since time immemorial and guided the management of these companies in procurement, operations, distribution and sales. The book is also a commentary on the cathartic state of much haloed improvement techniques being employed by companies for decades – large and small alike, with little improvement to show for the humungous efforts being put in. What it also presents is the only practical way to improving the state of affairs of such companies which is extremely powerful because it is very simple. Presented as a story of two key managers of a company – the narrative follows their personal and professional struggles as they deal with conflicts and contradictions that life is presenting to them and their attempts to surmount their problems. Speaking about the book, Apparent in Hindsight, Satyashri Mohanty, Founding Director & Co-Author said, "This book is the culmination of a decade’s experience of implementing pull-based solution of Theory of Constraints (TOC) solutions in about 20 companies in the auto industry right from OEMs in one end of the spectrum to the unorganized Tier 3 and 4 vendors." Each journey has had its shares of highs and lows, allowing us to gain tremendous know-why and more importantly the know-how of the sequence of implementation. And thus decided to put together our experience in a book format. 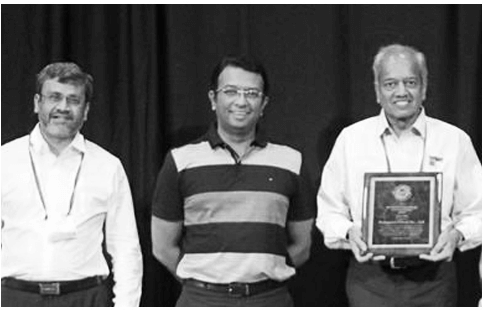 Vector Consulting Group, India’s largest management consulting firm in the space of Theory of Constraints, is proud to announce that their client, Fleetguard Filters, is the winner of 2016 TOCICO International Achievement Award, Platinum Level. Retailers Dilemma: To grow rapidly or to grow cautiously? It is relatively easier for retail chains to show rapid sales growth by opening new stores, however if there is no profit then continuing on this path of growth jeopardizes the very existence of the company. Sourcing Electrical and Lighting: Bajaj is redesigning its distribution supply chain so that channel partners invest less and earn more, faster. Bajaj Electricals LTD (BEL), the legacy brand in electricals and lighting, has decided to rework its distribution supply chain in order to improve response time, cut costs, and boost profitability.